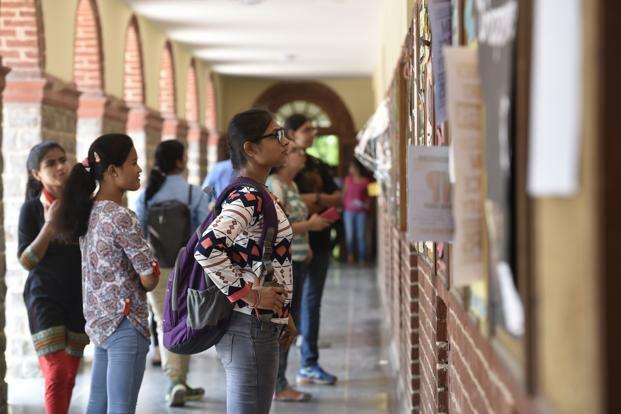 New Delhi: The Delhi University’s first list of candidates for admission to its undergraduate programmes will be announced on the evening of 23 June. Initially, the date fixed for release of first cut-off list was 20 June. Although the university had announced that it would release six cut-off lists, dates of only five have been announced so far. More cut-off lists would be announced depending on the vacancy. After the first cut-off list is announced on 23 June evening, admissions would begin the next day, a release from the office of the Delhi University registrar said. The dates for release of subsequent cut-off lists are 1 July, 7 July, 13 July and 18 July. Verification of documents and approval for admissions will be done between 9.30am and 1.30pm for morning colleges and 4pm to 7pm for evening colleges. “After approval of admission, the applicant has to log on to undergraduate admission portal for online payment of admission fee,” the release said.